Qingjing Farm was established on February 20th, 1961. 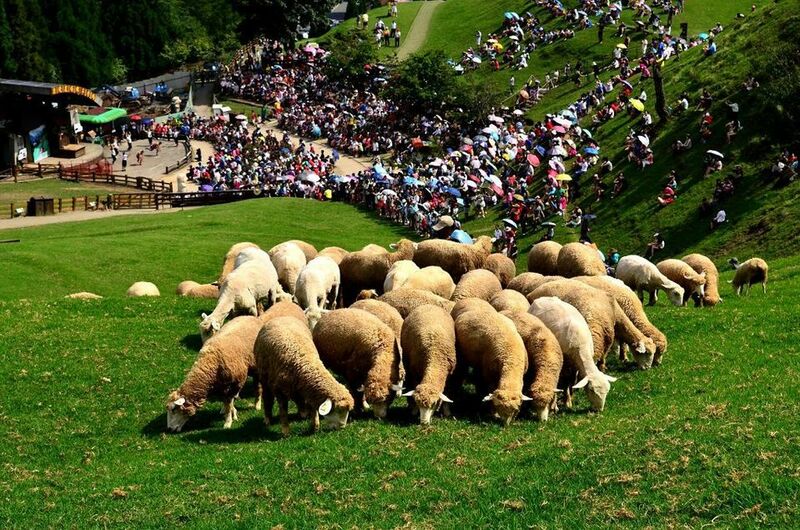 The farm is for agricultural development, it located in Nantou County, the place of Central Cross-Island Highway's center horizontal road first line #14 near the north end place of 08 kilometer. It is the place you will pass when you are heading to Hohuan Mountain, the center horizontal highroad's organized body branch. Nowadays the Qingjing Farm follow the herbage rebirth of the seasonal changes in March, the garden turns green, the procreation of the cows and sheep. You will feel the luxuriant of the peach blossom, the pear bloom, and the apple bloom during the spring season in Qingjing Farm. April is the month for picking the spring tea. The digitalis bloomy with purple bright-red flowers is in the bucolic area. May is the season for the chrysanthemum in the bucolic area and the rhododendron bloom in the Hehuan Mountain. Besides the different views in spring and summer, the scenery during autumn and winter has other kinds of view in Qingjing Farm. You can watch maple in October in Qingjing Farm. The sounds of the stepping on the fallen maples are romantic. Another part, the local agrarian afford different kinds of peach in different seasons, such as the 20-century pear, the California plum, the kiwi, and the high-temperature greenstuffs. The high-temperature greenstuffs mean the vegetable that grew in the higher sea level area with the adaptable temperature between 13~24 degrees Celsius and the bearable cold season greenstuffs for long distance, such as green cabbage, sweet chili, and the peas in local. 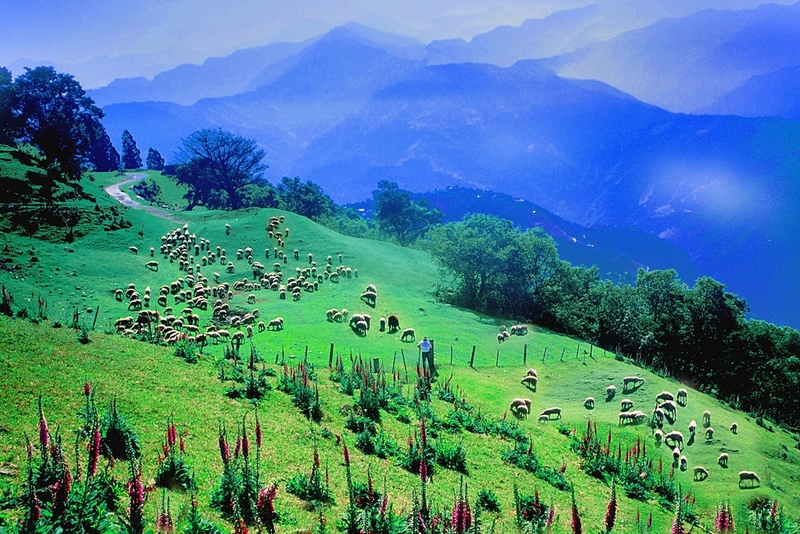 The 1.2km-long Chingjing High-altitude Scenic Trail is located at 1,700-2,000 meters above the sea level. 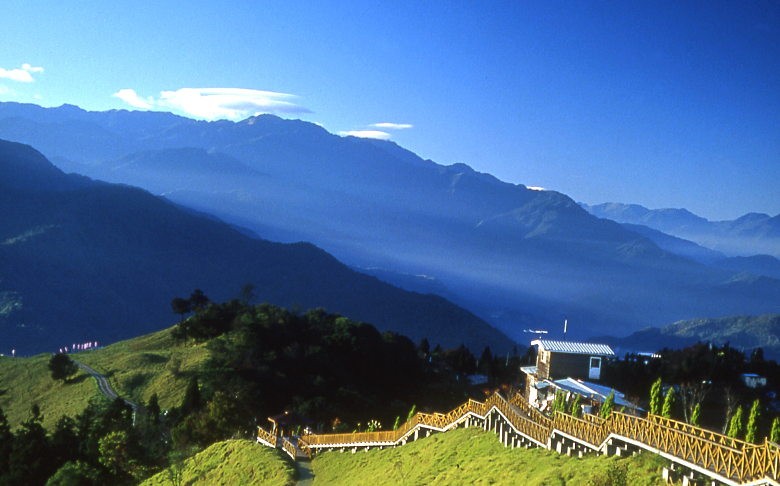 It is the longest and highest-altitude trail in Taiwan. 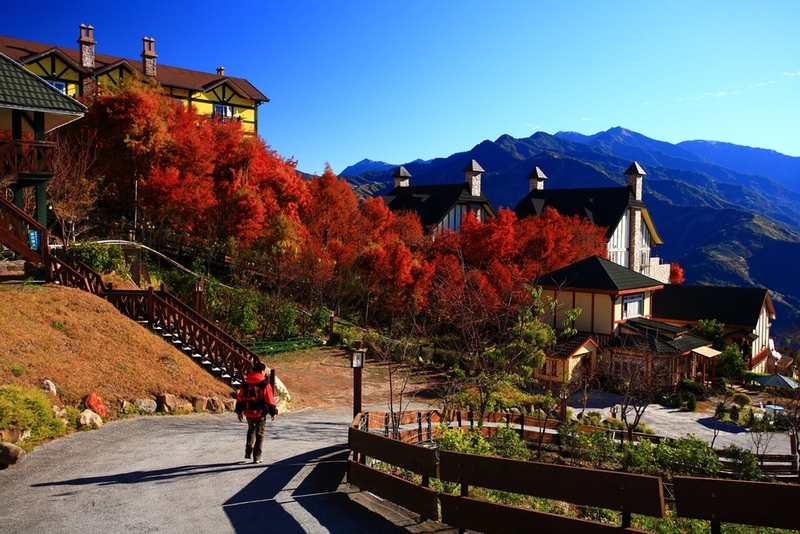 Along the path are scenic platforms which provide visitors with birds-eye views of the Central Mountain Ridge, Qilai Mountain and more. Taking a stroll among the crown layer of the trees, visitors can also expect to look at the beautiful Qingjing area panoramically. The trail’s accessible designs allow baby trolleys and wheelchairs to move freely, making it suitable for family visitors. Take the THSR to Taichung Station and transfer to Nantou Bus, then get off at Puli stop and switch to Nantou Bus (Puli-Songgang Line or Puli-Cuifeng (Cuifong) Line) to Qingjing Farm. Take a train to Taichung Railway Station, continue by Nantou Bus(toward Puli) to Puli, and then transfer to Nantou Bus(toward Songgang Cuifeng) to Qingjing Farm. From Guoguang (Kuo-kuang) Bus Taipei West Station take the bus to Puli, continue by Nantou Bus(toward Puli) to Puli, and then transfer to Nantou Bus(toward Songgang Cuifeng) to Qingjing Farm.